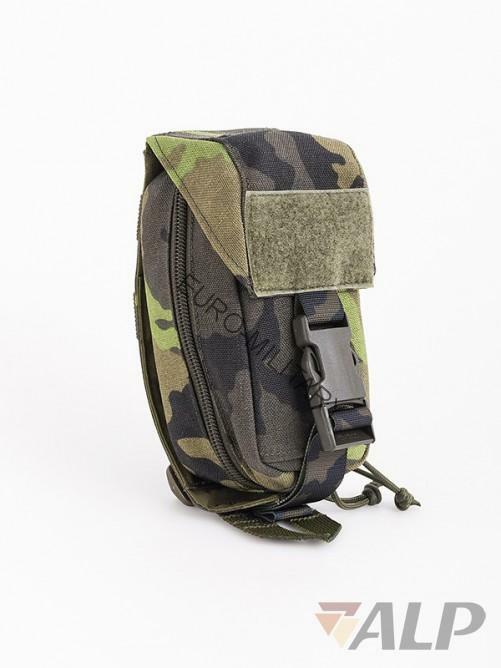 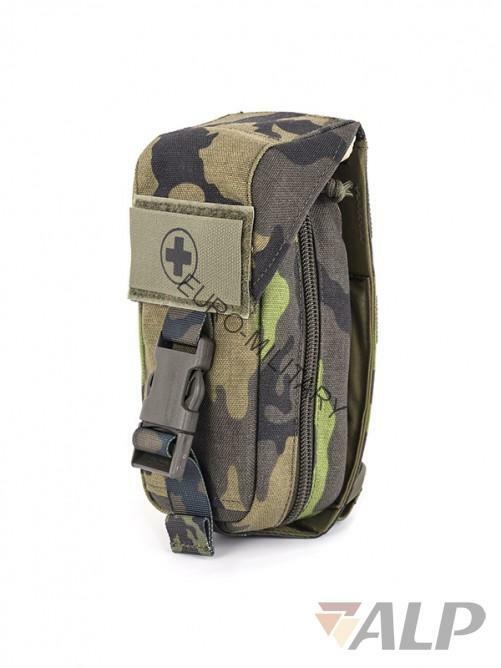 A first aid pouch in a tactical environment. 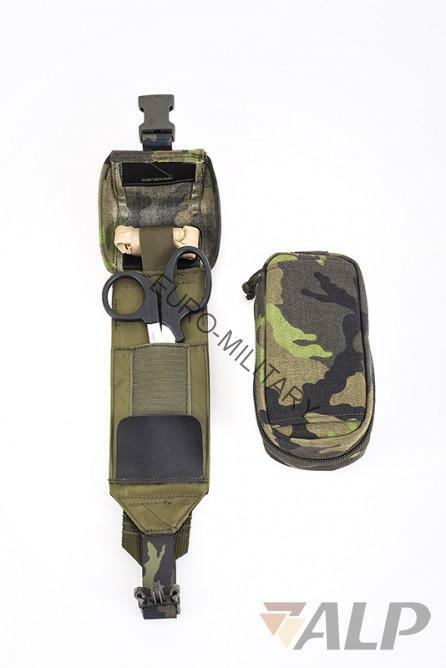 allows quick removal of the entire pockets in need of operative redistribution of medical supplies. 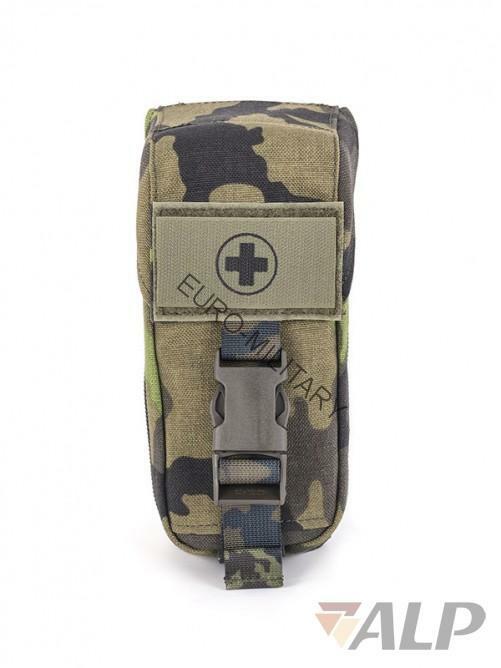 First aid kit specially designed to combat environment with maximum user comfort. 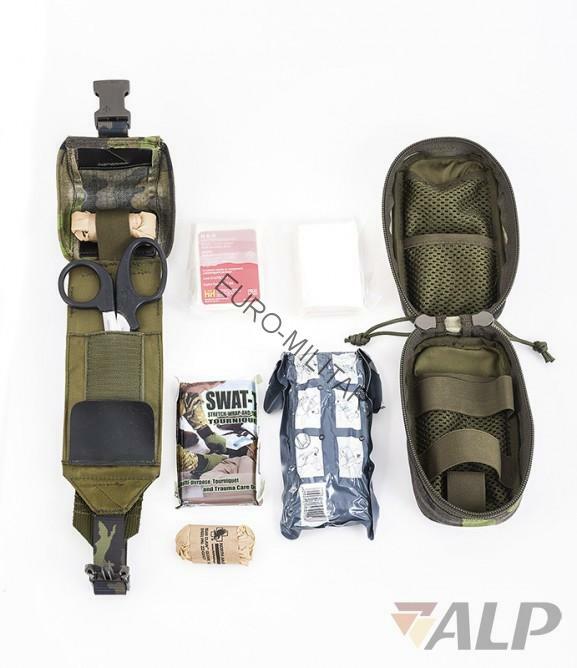 Contents of the package is designed to easily and efficiently tackle the causes of preventable death in the tactical environment (bleeding) to form self-help (self-aid) and a form of mutual assistance (buddy-aid). 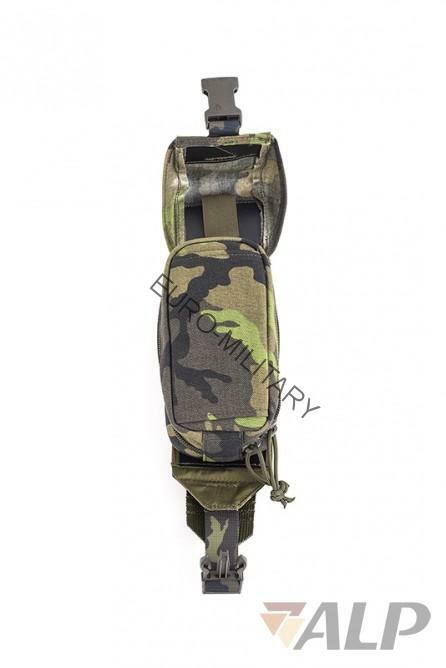 Price does not include medical equipment, textile package only.